SherWeb’s high-performing infrastructure hosts Quebec’s biggest telethon. Logilys, which was founded in 2002, is an independent software provider with clients in Canada and Europe. ProDon, its flagship solution, offers a platform for online donations (JeDonneEnLigne) that is used by various organizations. For the last 3 years, Logilys has helped Opération Enfant Soleil organize its annual telethon, which is the largest charity donation event in Quebec. The continuing growth of online donations required that Logilys be able to guarantee its client consistent performance and availability during the event. With this in mind, Christian Dubois, Vice President of Operations for Logilys, began his search for a cloud service provider. His criteria were simple: he needed a solid infrastructure that was both scalable and ultra-performant. After evaluating various options, he chose SherWeb Performance Cloud, a solution that was recommended by one his clients. The first deployment of his platform in SherWeb’s cloud infrastructure occurred during the telethon for Opération Enfant Soleil this year. The results? More than 14,000 online transactions were produced and the organization gathered a record $18,620,721 in donations for 2016. 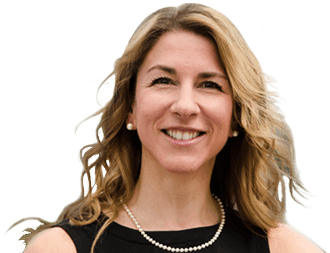 "I had specific requirements to be able to meet my client’s demands during the event. One single incident during the donation process would have enormous repercussions on the event’s overall success. I couldn’t wait more than 90 seconds for the support team to respond to my requests. SherWeb’s transparency, outstanding collaboration and high-level expertise convinced me to choose them as my supplier." Christian Dubois began preparing for the June 2016 telethon in early March. In his search for a cloud partner, he was very particular about the company’s reputation, costs and performance. However, it was the technical support that would be the deciding factor. In previous years, he relied on a dedicated server provider, but the results were disappointing. There was a break in service which put Logliys’s relationship with Opération Enfant Soleil at risk. Dubois said he was looking for a support team that could react quickly to specific incidents and escalate problems to a higher level if necessary. Dubois remembered that one of his clients had spoken very highly about SherWeb’s cloud environment and the quality of its technical support. Although Dubois had heard about SherWeb’s stellar reputation, he had never done business with the company. He decided to contact SherWeb. A Solutions Architect was immediately assigned to Logilys’s project. 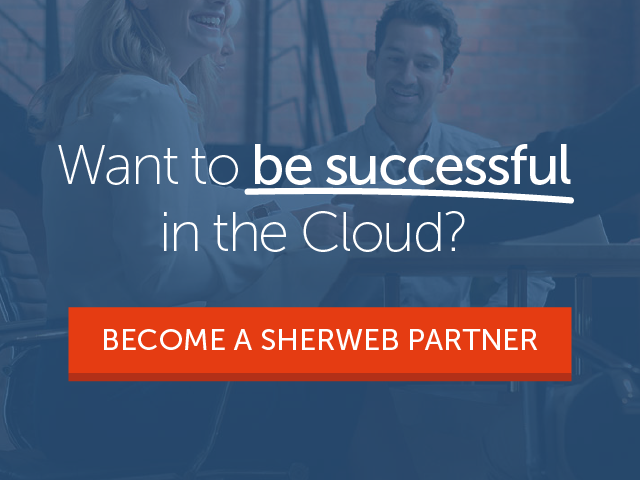 Dubois chose Performance Cloud Managed Services to take advantage of the expert installation and configuration offered by SherWeb’s cloud experts. It was a large-scale infrastructure with 46 processor cores, 104GB of memory and more than 1TB of data, spread over a dozen Windows and Linux servers. Load balancing was set up directly on SherWeb’s equipment. Dubois estimated that at its peak, his solution was able to process 800 simultaneous connections for the Opération Enfant Soleil telethon. The transactions don’t take up a lot of bandwidth, but he decided to guarantee a bandwidth quota of 1000GB, just to be on the safe side. Logilys didn’t have to worry about processing performance because SherWeb Performance Cloud servers, produced by Intel, are among the best in the world. During the two months that preceded the telethon, Logilys conducted about 50 volume tests. This allowed Dubois to adjust the server capacity for the final infrastructure. "The event was important. Opération Enfant Soleil organizes the largest fundraising activities of all our clients. There was no room for error." "We work with a certified PCI partner who guarantees total security for all transactions. Their web application integrates with our platform and no critical data is transmitted over the network. Our secured database only stores basic data like the transaction confirmation number and the donor’s details." Over the last 14 years, Logilys has processed millions of financial transactions, both by credit card and bank transfer. These types of transactions require rock-solid security. Christian Dubois has never had a problem with security and is very demanding of the companies he works with. SherWeb holds SOC 2 Type II certification, which guarantees protection on both the physical and logical level for all its systems. All the necessary configurations were done for the telethon to allow for a seamless integration with SherWeb to manage the transactions. Logilys has organized several radiothons and telethons for its clients and this first collaboration with SherWeb paved the way for future projects. "I was more focused on security given that it was the first time I was deploying our JeDonneEnLigne solution in the cloud. I asked for a lot of guarantees from SherWeb." "We expected between 10,000 and 12,000 transactions. We ended up with more than 14,000! This was a record for online donations (JeDonneEnLigne) for Opération Enfant Soleil! We have something to be proud of and SherWeb is part of this success. Thank you, very much!" Dubois monitored the platform operations during the event. SherWeb assigned a System Administrator to work with its support team to oversee its side of the operations. The last four hours of the telethon proved to be the busiest. More than 600 people were permanently connected to the site for 45 minutes. During the peak period, there were 760 simultaneous connections. SherWeb’s System Administator, Pascal Bouchard Trudel, said everything went smoothly. "The only time Christian contacted me was at the end of the event. He just wanted to thank me. Our collaboration was excellent!" "I actually made an online donation during a peak period. It’s crazy, I could have sworn I was the only person on the site. The transaction was almost instantaneous! I was thrilled." Alexandre Tremblay, Director of Finances and Administration at Opération Enfant Soleil, was also pleased with the outcome. "There was no slowdown, no cuts in service or downtime like we had the previous year. The telethon took place during the weekend and Sunday evening is generally the time when most of the donations are made. The infrastructure held well, everything worked properly. 25 % of the donations were made online this year; this is a great success!" Following this positive experience on SherWeb Performance Cloud, Logilys is already more confident about its future projects with SherWeb. The company can count on a solid platform for its online donation campaigns with its ProDon and ProLoc software.